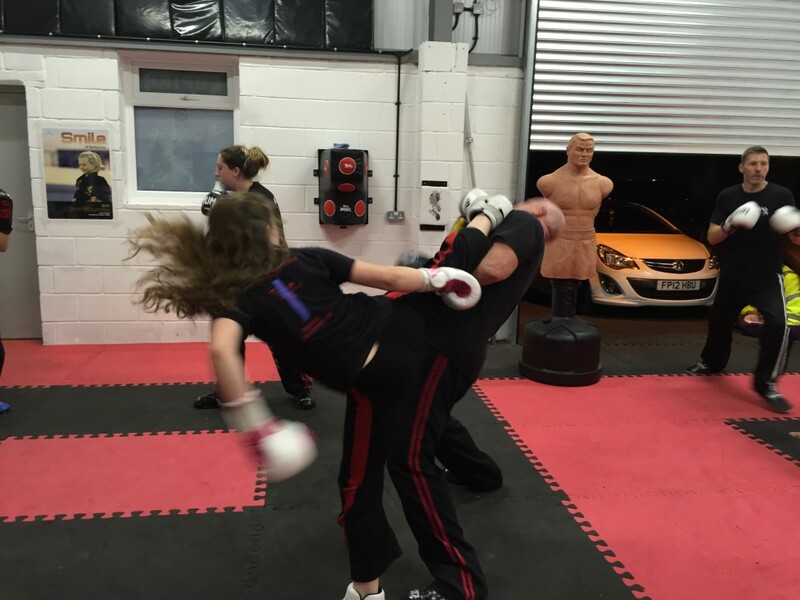 We teach sport based Kickboxing with a self defence element. Ideal for those who want to have a good workout, keep fit and learn some useful skills. We teach all ages and genders from 7 years upwards but we are not a fight club! Kickboxing is a hybrid derived from Boxing and Martial Arts kicking. In a typical Kickboxing class at Empire Martial Arts, participants will learn to use both the upper and lower body to punch, use kicking techniques, blocking, and combinations with punch bags, kick bags and free standing bags, known as BOBS, combined with partner work. When performed as a fitness and weight loss program, Kickboxing can provide a full-body workout that can improve fitness, co-ordination, muscle toning, self confidence and weight loss. 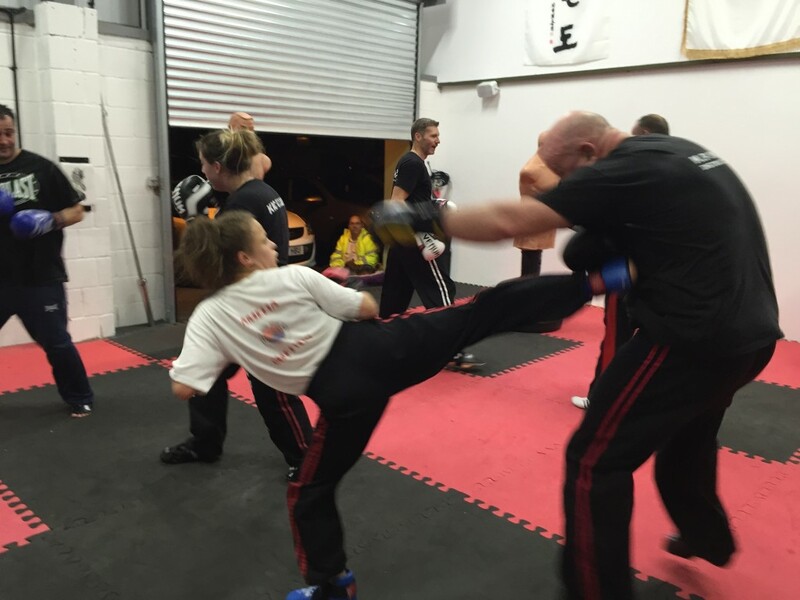 Please get in touch to find out more about our Kickboxing classes. We also can cater for one-2-one sessions or if you can’t make one of our regular classes we may be able to run a one off class at a different time if enough people are able to join in. Why don’t we do a Ladies Kickboxing class? We don’t run a ladies only class but if this is something you would be interested in creating a small group class with some of your friends with then please get in touch with us. A one hour Kickboxing class can burn more calories than Zumba, Kettlebells or Spin! This means you’ll learn an effective method of self defence, whilst burning up those calories! Empire Martial Arts Kickboxing classes will improve your muscle tone, and sculpt your body and help with weight loss. The classes are suitable for all ages & ability. 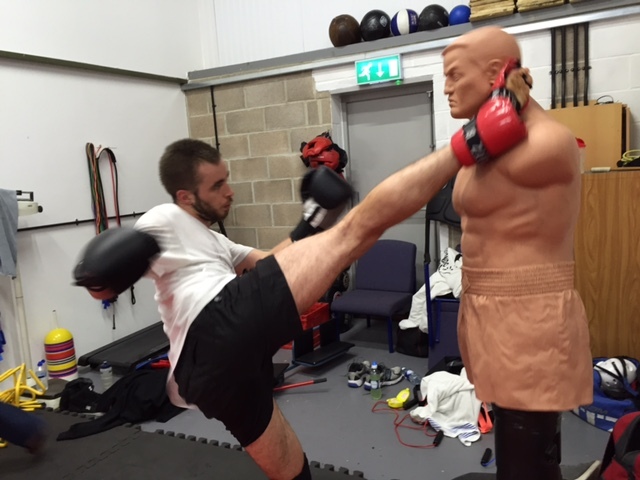 Run by Martin Paradine, Empire Martial Arts Kickboxing programme is designed to help eveyone learn the fundamentals that will improve fitness, self-confidence and personal safety. And take that too Sir!